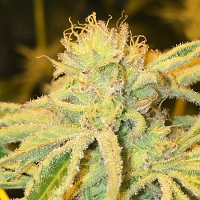 Super Silver Bilbo Feminised Cannabis Seeds by Genehtik Seeds: Genehtik has this seed since 1998, being a favourite haze state upstairs of authentic postage sativa, but produces a volume of buds as an indication, fat, heavy, dense and compact, very resinous, indoors although it seems to be ready in 65 days, we recommend leaving at least one week more, then you are in point, with its prancing chalices. The flavour is intense, metal, classic Haze smell of incense. 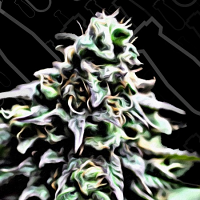 Effect very sativa, ideal for going out or doing things, not to sleep, do not let your imagination rest, is a psychoactive plant. In foreign plants are large and resist fungal attack very well and is early to be a Haze, which is much appreciated by lovers HAZE that grow outdoors in the north.